Recent release “Desperado” from Page Publishing author, Linda Stone, is a riveting globe-trotting adventure introducing a high-end private investigation firm and two agents whose partnership went far beyond the professional demands of their assignments. 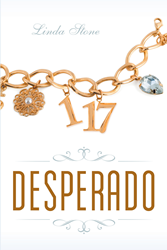 Linda Stone, a California native and mother of two whose careers included twenty-three years in the medical field and six years serving as an armed officer on a reservation currently living in Washington State with her eldest daughter and her family, has completed her book “Desperado”: a passionate love story that transcends time and place. Published by New York City-based Page Publishing, Linda Stone’s book is a spellbinding tale of passion and intrigue inspired by actual people and events. Readers who wish to experience this engaging work can purchase “Desperado” at bookstores everywhere, or online at the Apple iTunes store, Amazon, Google Play, or Barnes and Noble.